/ Busting Myths: Does your library know what content marketing is? 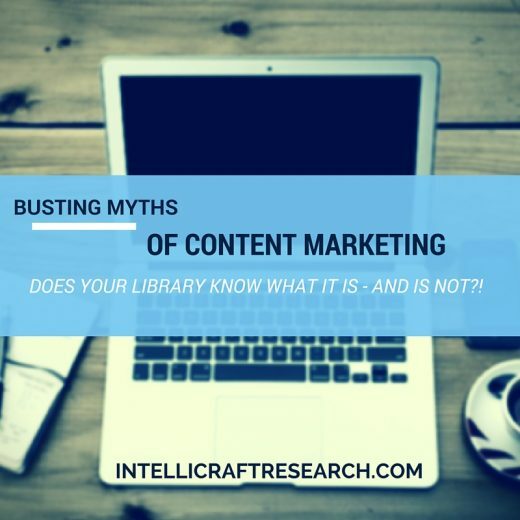 Busting Myths: Does your library know what content marketing is? Confession Time: Do you and your library colleagues really know what content marketing is, what it’s NOT, and why you should even care??! 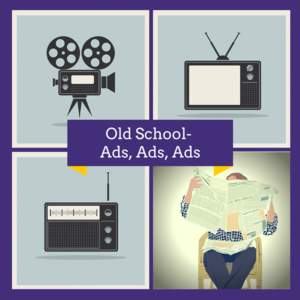 Let’s bust some old-school marketing myths that may still be swirling around out there in your library. Let’s talk about the type of marketing you MUST be doing to get attention these days. Let’s talk about what content marketing is really all about – and what doesn’t count. 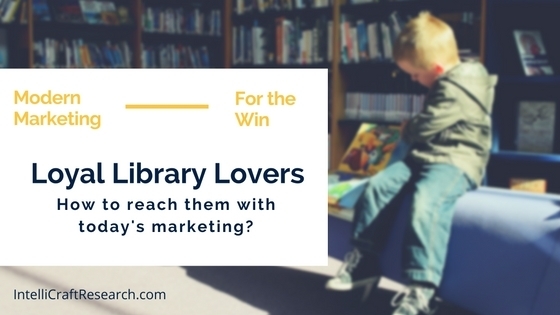 Because once you know, you can put it to good use and practice as part of your more effective, more modern, more successful marketing for your library. Scrap that. Most experts agree that it already, fundamentally, HAS changed and we aren’t going back to the old days. Ads in your mail box and your email inbox. All those ads interrupting whatever ‘content’ you were enjoying. But I believe many librarians are much more aware about marketing now – what it is, what it is not. Now the content IS the marketing. 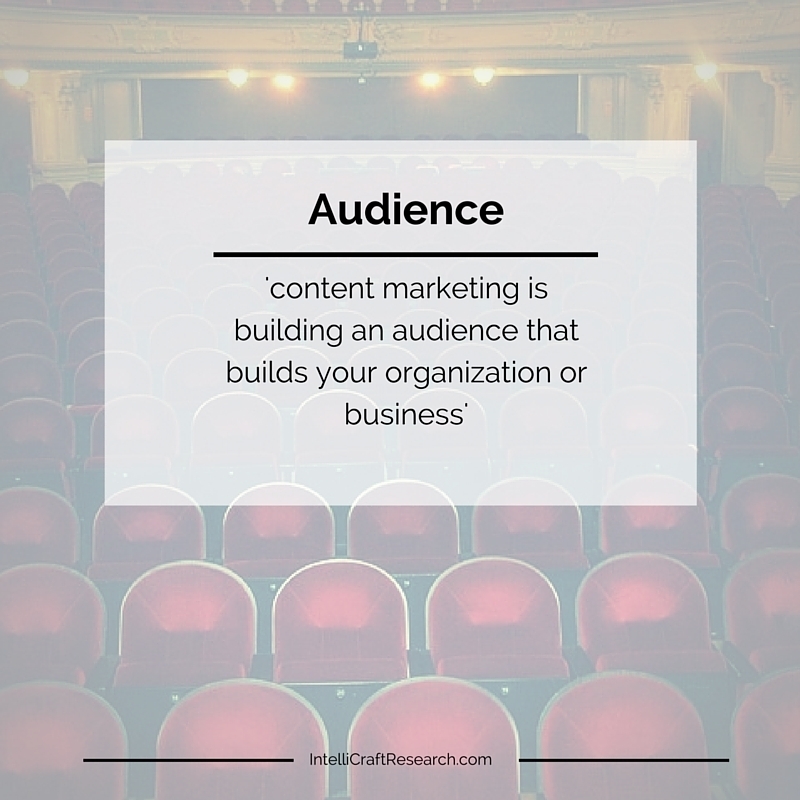 Content for marketing purposes has to be something the audience wants to interact with, that is asked for, searched for, invited in to their life. Content doesn’t just become marketing by existing. Content for marketing has a purpose – it’s done in order to build the Know, Like and Trust factors for your brand. Don’t forget – ALL organizations have a ‘brand’, yes that definitely means libraries and information centers. You as a librarian even have a personal brand – but that’s another post! It’s helpful to know some of the common thoughts on content marketing are more myth than meat. We’ll note and bust some of those myths, in this post and others to follow on this blog and in other content I create and share with you. Because I practice what I preach – the content will be educational, helpful, valuable, hopefully engaging and entertaining – and when you have other pressing questions about marketing your library, I hope you’ll come to me because I’ve become a trusted source for you. THAT’s the power of content marketing. It’s not just a post or two on a social media platform. It’s not just creating an infographic. It’s not writing an email newsletter. It’s not a video of people at your latest event. Or… it’s not JUST any of those things alone. Content marketing is definitely not selling, or pushing. It isn’t an ad. It doesn’t overtly promote something. It’s not an ‘advertorial’ or ‘native advertising’. It doesn’t try to jump up and grab your audience. Ok. So what IS content marketing really about? There are nearly as many definitions of ‘content marketing’ as there are marketing experts, gurus, books and blogs. But those books, blogs and experts do share some common points on what ‘content marketing’ is or what it should be. You’ll also hear terms like ‘attract’, ‘magnetize’, ‘pull’, ‘draw in’, ‘invite’ or ‘inbound marketing’. A lot of similarity there, right? The goal in marketing and communications today is drawing your customers, clients, donors, patrons or users IN towards your organization and its offerings. The old or traditional way was you pushing your marketing OUT to your audience. Today, you attract your audience TO you. You need to give them reasons to keep coming back again and again to your library’s site, your videos, your social channels, your brand – and not just because they want to look something up in the catalog. Good thing libraries are already well experienced in bringing people back in, over and over again! Now the trick is translating that success to your marketing, particularly online. Why Should My Library Care? Good news. You already have content. No, I don’t just mean all the books, graphic novels, ebooks, and databases in your library. That’s a different type of content, and one to leverage in your marketing for sure. But you’ve also been creating content FOR marketing – the newsletters, community paper articles, direct mail letters, brochures, rack cards, press releases, web pages, and videos – they’re all ‘Content’ in terms of marketing. What’s different now is that instead of just throwing that out there or pushing that content in front of people, we create plans and promotions to use it to pull our audience, our community TO us. Just like it can’t be overly pushy or aggressive, marketing today can’t be passive to be successful. You can’t throw an ad out there, hope a story runs in the local paper, post a flyer and figure your work is done. I do think most of you really know that. You know that you need to be on multiple channels, with consistent (and targeted) messages, and to interact with your audience in your communications. More than just the format. More than just one thing. More than a single piece of content. It’s more than just the words, or pictures, or graphs that make up the all-important ‘content’. The form is secondary. Content Marketing’s key = ideas – the teaching, the problem-solving, the question-answering, the valuable, educational communications you offer, which are most important. Create your ideas first and then figure out the best way to deliver them. More good news – libraries are already leaders at problem-solving, education, question-answering and being super valuable. It’s the core of our library DNA. BUT … it hasn’t always been the core of how we talk about ourselves or market our awesome problem-solving, answering, community-connecting value. Libraries need to take those skills from the desk to the web, to social, to video and to pulling in patrons, users and community members with your marketing and communications. 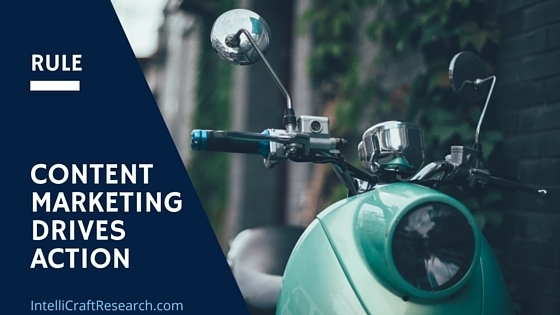 So What DOES Content Marketing Look Like in Action? Blogs: Blogging can be (and often should be a core) part of a content marketing strategy. But CM isn’t just about having a blog, and having a blog doesn’t mean you are necessarily doing CM. It’s more than writing articles/posts on a blog as part of your website. Although that’s a key part, because a blog is your home base. Home is where you own your message and the platform it’s delivered on, where you offer your best stuff and want your web traffic to come. You want them to come home to your website, not your social channels (that’s another soap box pet peeve rant for later!). Hmm … just like mine here?!! Infographics: Content marketing is more than infographics. But they can really catch eyes and present info in a fun, colorful and engaging manner. And they get shared a lot, which is good social media fuel, which brings traffic, which builds your brand and visibility, which helps you tell your story. See?! Social Media: Content marketing is more than social media posts. It IS about the visuals you share on social, that tie back to a blog post, or that share an infographic, or link to a video. The content you create in other format is the fuel for the engine of social media. It’s about the ability of social to engage in conversations with your audience and community. Social can be great for building awareness and driving traffic back to your site, to your registration pages. 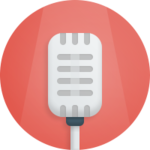 Interactive Media – audio/visuals: Content marketing is more than podcasts or interviews, or even great videos. But those interactive and visual formats can be great sources of traffic, educational material and give your brand some personality, all in a well-crafted strategy. Alone they are interesting, entertaining and possibly educational pieces – as a combined part of a content strategy, driving traffic, carrying a specific call to action – they are formidable components of content marketing. What else IS content marketing? It provides answers to common questions and solutions to the problems of your specific audience. It has emotion and personality. It’s visual, clean, easy to read or understand and isn’t just text. It is specific, targeted to, and considerate of your unique audience (or multiple parts of that audience). It builds and nurtures a relationship with your audience. And after all that …. Without the call to action, the ‘next step’ you want your audience to pursue after engaging with your content … it’s just ‘content’ with no ‘marketing’. That’s where so much potential content marketing, especially from nonprofits like libraries, falls apart. It forgets to ask for something of its readers/viewers/followers. THIS is why libraries need to pay attention to content marketing, and the overall ‘new rules’ of today’s marketing. 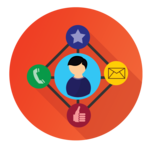 You can NOT forget the ask, the call to action, in each and every piece of marketing. Marketing is about communicating a message, a story, and asking for something next in return. A follow. A like. A share. A registration for event – even a free one. To come in the door on a specific day and time. To call a local council member in support. To vote for library funding. To sign up for summer reading. For example, if you really liked this post – why not share it on social media?! Click the buttons on the left for your favorite social site. Or … if you want to know about more posts like this, join my email list and get a FREE eBook guide. See? Actions! 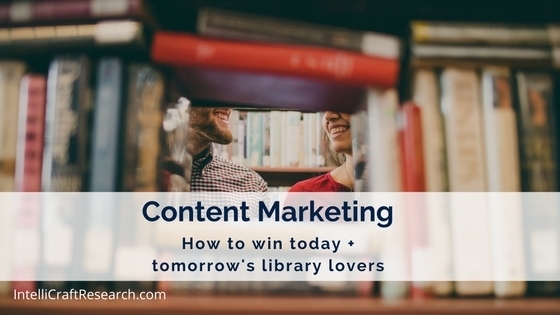 What Else Does Content Marketing Mean for Your Library? The type of content you share is related to what your library’s organizational and marketing goals are, your community and your current mission. 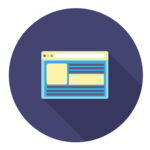 Your library’s content marketing goals, and then plans must line up with your library’s overall goals and vision. They have to align for content marketing to work. The content you create, curate, share or repurpose must have a purpose. Is it helping your audience to do something they really want and need to do or achieve? If so, that’s great content and greater for your bottom line. 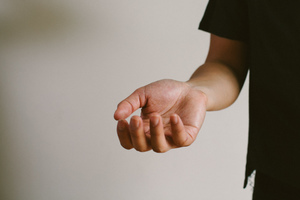 For nonprofits, like libraries, who don’t sell a service or a product directly – content marketing goals are related to educating your potential donors or volunteers about your cause and your mission. Do your patrons really know what happens inside a library? Are you offering content that tells a story about what will happen if they visit your library RIGHT now, if they support you now? Does your community know what happens when they donate, if they write letters, call or vote to support library funding? And do they know the realities of the ongoing ‘disasters’ in the community if the library goes away (from lack of support, lack of funding) if they don’t contribute, donate or offer support? Have you made that story clear in various forms of content, shared in multiple channels? Is your content making them feel like their support is valued and makes a difference? That’s a lot to take in if you and your library are new to the concept of content marketing. So keep coming back to the blog here at IntelliCraft Research as I dig deeper and deeper into the nuts and bolts of making content marketing work for libraries. Or sign up for my marketing roundup emails so you’re the first to know about posts or news about content marketing. I have posts and help about ins/outs of content marketing, creating content for your library’s communications, examples of good to great content marketing coming out of libraries and much more. Look for posts on the 4 foundation parts of CM, The Greatest Lie of Content Marketing, excuses we often make to avoid actually creating content, how to set goals for CM, how to brainstorm content, how to do video smart and on a budget, why libraries need editorial calendars, plus so much more! I’ll give you plenty of ways to create content, how to use different formats, how to brainstorm more ideas than you will know what to do with, and which formats or channels work better for some ideas over others. For now, just know what content marketing is, and what it’s not.